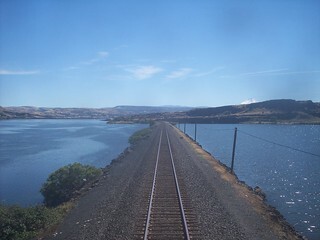 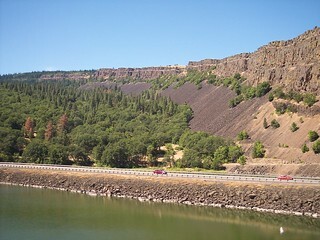 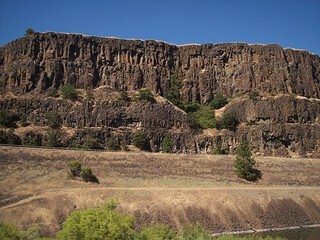 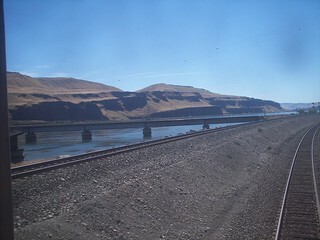 Just west of Wishram we pass a railroad bridge over the Columbia River. 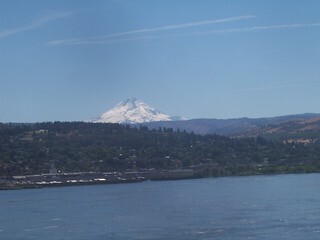 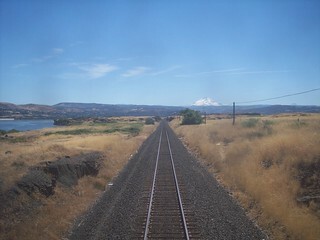 Mount Hood appears in the distance. 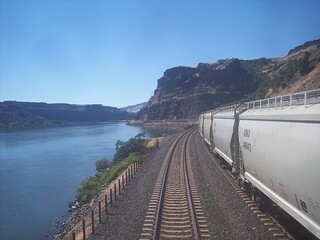 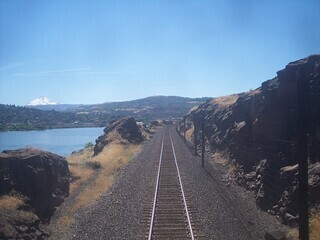 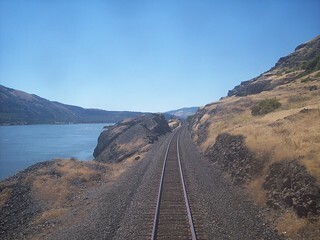 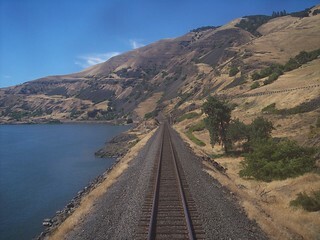 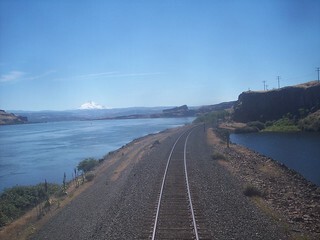 The Empire Builder continues to follow the Columbia River westward. 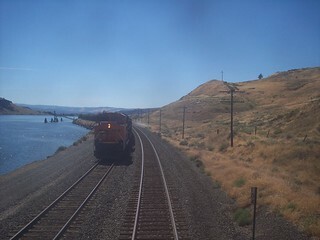 Trees begin to reappear as we continue heading west.